Jennifer M. Stacey, MS, 2nd generation Pilates Teacher, is returning to Europe. There are several Pilates workshops, sessions and an Immersion™ Pilates Aquatics™ (IPA™) Course planned in Rome, Italy. July 7, 10, 11, Workshops and Sessions. IPA™ July 12 -14. At the Rome Forum Sports Center. Classic Pilates Mat Class Advanced Level. Learn the flow, breath, sequencing and transitions of an Advanced Classic Pilates Mat class with proper biomechanics. 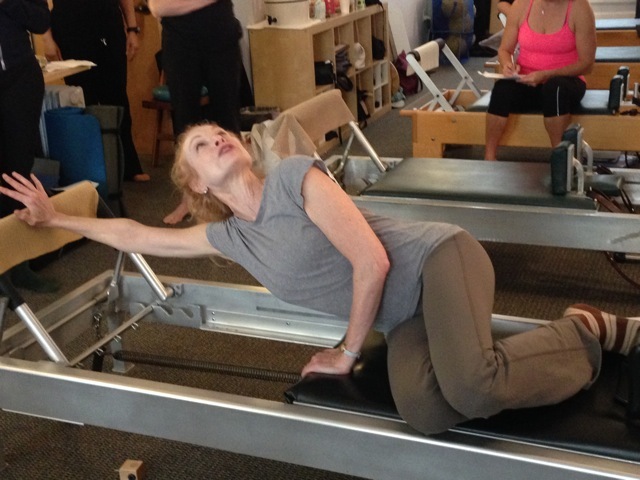 Variations, modifications, cues and images from 4 Pilates Elders. Enjoy the Romana Kryzanowska Transitions. Fabulous fun! Pilates sessions: Trios, duets, solos. 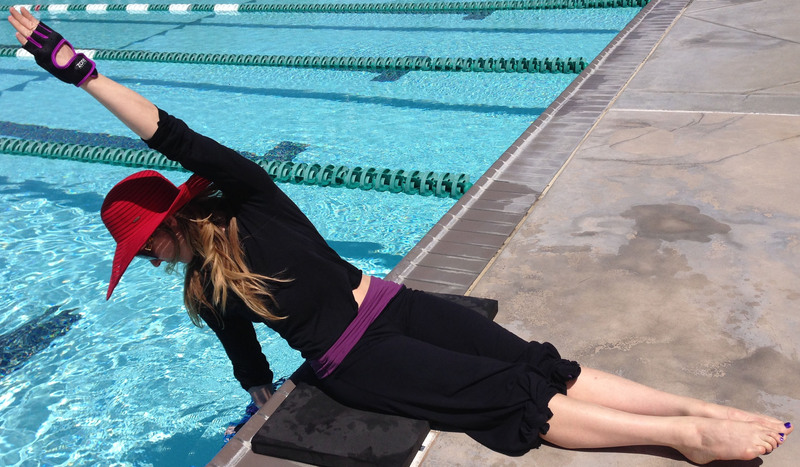 Immersion™ Pilates Aquatics™ course in Moraga, May 31 – June 2. and October. Stay tuned! 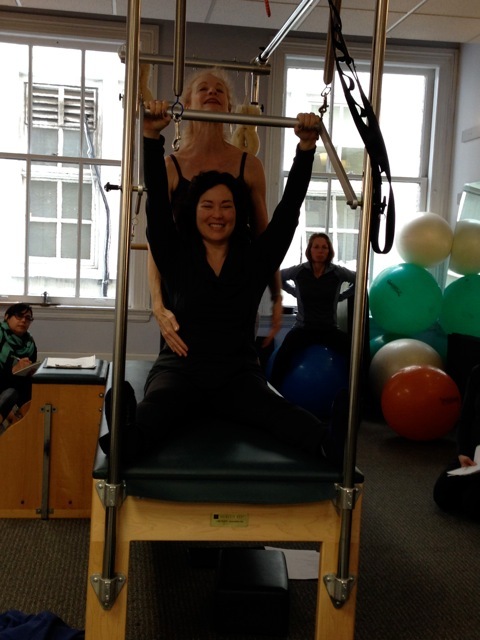 Jennifer teaches an ongoing Teachers’ class in San Francisco, Wednesdays 2 – 3 pm. Pilates Teachers and Advanced Students welcome! A great mentoring class. She also teaches IPA™ classes in Moraga on Fridays and Sundays. Jennifer will be starting the internationally reputable Peak Performance Pilates Comprehensive Teachers’ course and mentoring bridge program. Jennifer will be teaching some of her popular, scintillating workshops in San Francisco (“Stretch or Squish?”, “Gems from the Elders”, “Kathy Grant Class”, “Rotate around your Eyes and Xiphoid”). Jennifer is also available for sessions on Skype. Workshops, Sessions and IPA™ course in Helsinki, Finland in October. October 23, 24 at Somatic Studio. International Association of Dance Medicine and Science: Kathy Grant Class “Flowing spine with Cats and Laterals”. Details coming soon! Some information see below. Diaphragm – Psoas – Pelvic Floor and their connections with other parts of the body. Anatomy, Functional Anatomy, Physiology. Examples from the audience, many practical exercises! 2.5 hours of theory and 1.5 hours of practical breathing exercises and movement. Goals: to understand about function and importance of the diaphragm, the psoas and the pelvic floor (and so about the importance of proper breathing) and their connections in the body. Learning some simple but effective and fun breathing exercises and movement. For all people who work with their own body (dancers, acrobats, musicians, sports people, yoga teachers etc….) and for everyone who works (or teaches) on other bodies! Space is limited. Details to be announced. $200 payment by check/cash. ($206 if paid by cc and Paypal). It is possible to pay by Paypal. See registration below. Dr. Lehle may be available for private consultations Friday and Saturday (August 24, 25). 4 PMA CEC’s may be offered. Dr. Gotz Lehle, MD is an Orthopedic Doctor from Germany, who lives in Florence, Italy and practices and teaches regularly in Germany, Italy, Paris, London and New York. Dr. Lehle is a certified Gyrotonic(r) Practitioner and has professional training in M. Feldenkrais(r), Chirotherapy, Applied Kinesiology, Osteopathy, Injury Recall Technique, Posturology, Nutrition in Competitive Sports. Having been an actor and comedian, Dr. Lehle specializes in Medicine for musicians, dancers and performers. He teaches Performing Arts Medicine at several institutions and organizations in Italy and Germany, and lectures at Dance Medicine and Performing Arts Medicine conferences. Dr. Lehle presents the Applied Kinesiology lectures in Jennifer Stacey’s Movement Perspectives(tm), part of the Peak Performance Pilates’ teachers’ education courses that were taught in Paris, France and Zurich, Switzerland. A gifted health professional and teacher, with an avid following in many countries, Dr. Lehle impressively speaks and writes fluently in English, German, Italian and French. The Dr. Lehle workshop is located at Peak Performance Pilates, 126 Post Street, 3rd floor. Between Grant and Kearny. Near the Montgomery BART station. Somatic Studio. Helsinki, Finland. International Association of Dance Medicine and Science: Kathy Grant Class “Flowing spine with Cats and Laterals”. Details coming soon! International Association of Dance Medicine and Science : “Flowing spine with Cats and Laterals”, following the Somatic workshops. 13 – 16 Classic Reformer Workshop inspired by the Pilates Elders. 16:30 – 17:30 Pilates Mat Class Basic Level. 17:45 – 18:45. Pilates Mat Class Intermediate Level. Jennifer may be teaching a Immersion™ Pilates Aquatics™ Course in Helsinki October 20 -22. 18 PMA CECs. Stay tuned. 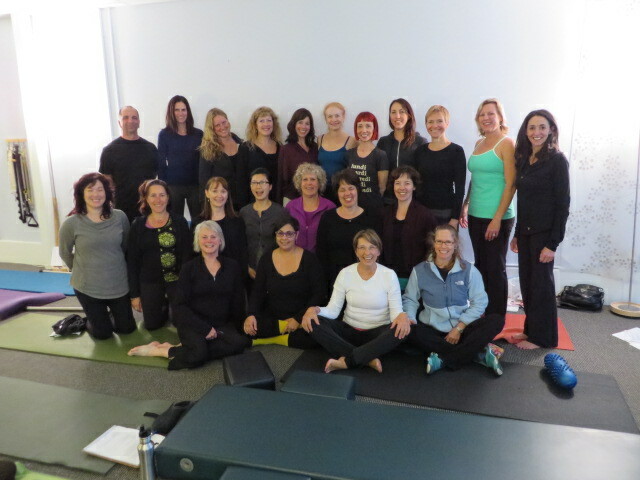 Other Immersion™ Pilates Aquatics™ Courses planned in 2019, 2020 includes Rome, Moraga, CA fall; Palm Springs. Maui, Hawaii;Miami, FL; Melbourne, Australia; Japan, Greece, Ibiza, Spain. France, Italy. IPA™. Find your deep centers immediately. IPA™ honors Joe and Clara’s system, and his advice to “get as much fresh air as you can, and work in the water.” Become a licensed Immersion™ Pilates Aquatics™ (IPA™) Teacher and even a licensed IPA™ Teachers’ educator. Following Joseph Pilates’ philosophy to “Never fail to get all the sunshine and fresh air you can”, Jennifer Stacey has created the Immersion™ Pilates Aquatics™ School to educate teachers on teaching the Classic Pilates repertoire in the water, using a patent pending device she invented. It is fun, challenging and supportive! Imagine carrying the entire line of Pilates’ apparatus in a duffle bag and performing the Classic Repertoire in the sunshine? Get a deep workout in her abdominals, hips and shoulders. Stay tuned! The IPA course is 18 hours. You earn 18 PMA CECs. The course will review the following in, on and by the water: 6 hours of The Reformer repertoire, 5 hours of Mat, 5 hours of the Chairs repertoire, 2 hours of Cadillac repertoire, Ped-u-pol, Barrels, etc. 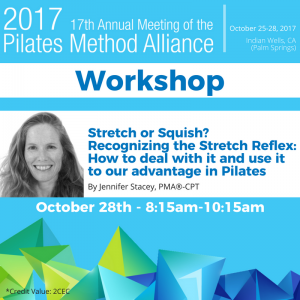 Come by our Booth 23 at the Pilates Method Alliance in Indian Wells in October 25 -28, 2017! Sign up ahead of time, or at Booth 23, for a free IPA™ session in the resort pool whenever you are available. Instantly access your centers and release hypertonic muscles! Is stretching appropriate? Sometimes yes, sometimes no. Did your back ever spasm after you stretched it? Do you feel ‘guarding’ in the area of an injury? Welcome to the stretch reflex! The stretch reflex often makes it difficult to recover from injury and bad posture, as it can vary day to day. The stretch reflex can also be beneficial if we use it in the correct manner. In Pilates, the stretch reflex is involved with animating the center through proper biomechanics, side back breathing and reaching the limbs long through space. Using imagery such as “When in doubt reach out” “reach the wall” or “opposition” often results in automatic recruitment of the two centers of the body. It is the key to allowing functional interaction of the various fascial and muscular interconnections, synergies and slings. We can optimize our relationship with gravity and enhance performance through the use of these interactions. Once you know how to recognize and deal with the reflex, you can enhance mobility, flexibility, function and performance. Learn how to magically address problems and enhance Pilates’ performance immediately in this fun, transformative class. What is the secret to moving from the deep center? How can you perform The Hundred, The Nasty Five and The Teaser with a flat stomach, and a neck free of tension? 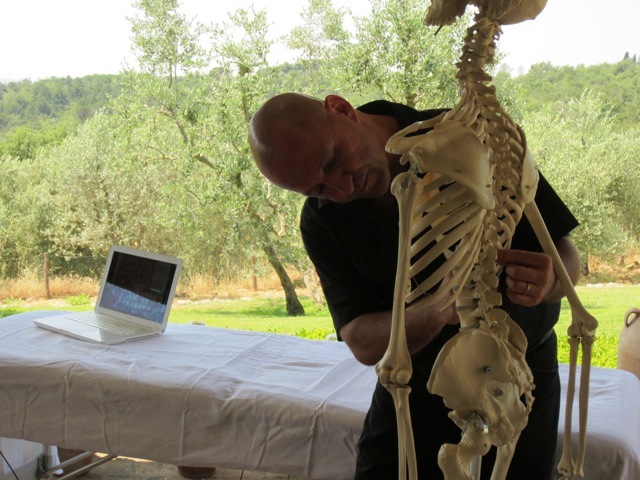 How do you perform the Footwork and Leg Springs with proper pelvic and spinal alignment? Releasing the lower back ribs! You will perform Pilates on all of the apparatus, and skills inspired from Moshe Feldenkrais® and Physio-Synthesis® that free the ribs. Experience a profound transformation of your posture and movement, freedom in your neck, back, hips and legs. Releasing the lower back ribs (thoracolumbar region) allows the body to optimally perform Pilates and movement with a free neck, a flat stomach, aligned pelvis, hips, spine and rib cage. Use the posterior lateral breathing to stabilize, mobilize and suspend your spine and ribs. Pilates from the Wings: Finding the Center and Wings through alignment of the Arm, Elbow, Forearm, Wrist and Hand in Pilates and movement. Discover the Power of the Scapular Muscles and Serape. Release the neck and shoulders. Discover the secret to moving from your wings and Serape. Effectively use the two “centers” to enhance performance, prevent and address injuries, back and neck problems. Align your arm, elbow, forearm, wrist, hand and fingers to connect to the armpit and wings while performing Pilates on the Mat and various apparatus. There are two centers of the body: The cylinder of the trunk and the lower scapular area (“wings”). To recruit the main center (the cylinder) you have to recruit the wings. To recruit the wings you need to align the upper limb. The key to recruiting the trunk and wing centers is correct alignment of the fingers, hand, wrist, forearm, elbow and shoulder. Learn proper hand placement on The Pilates Mat, barres, pedal, handles and straps to promote efficient and centered movement. This enhances performance and places less stress upon the back, neck, shoulders and wrists. 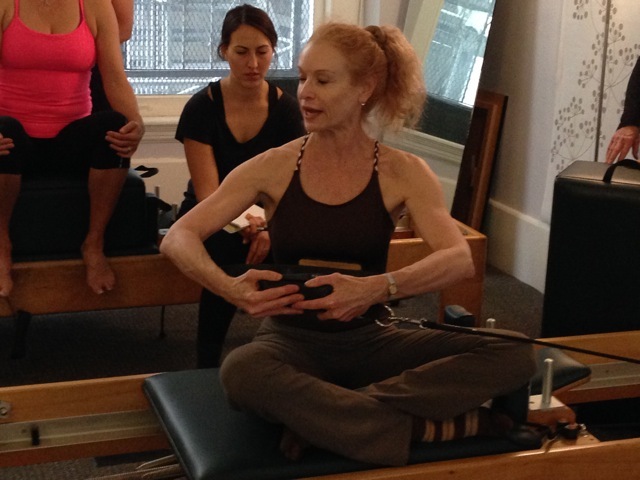 Sunday, June 4, 12 – 3 pm: “Addressing bunions (hallux valgus) with Pilates”. Addressing bunions (hallux valgus), foot, ankle, knee and hip alignment with Pilates, and concepts from Moshe Feldenkrais(r) and Physio-synthesis(r). Align the foot, lower limb and hip and free the lower back. Includes the Toe Corrector work. “Gems from the Elders: Romana Kryzanowska, Kathy Grant, Ron Fletcher, Eve Gentry and Bruce King”; “Treasure from the Pilates’ Elders” A class/workshop integrating specific skills and cues of Romana Kryzanowska, Kathy Grant, Ron Fletcher, Eve Gentry and Bruce King. “Kathy Grant Mat Class, including her Cats.” Intriguing creations by Kathy Grant. Optimizing Knee function in Pilates and movement. The Footwork, gait and function. A round table interactive session. Price: Early bird 3 workshops paid by February 15: $315 for 3 workshops. Early Bird One workshop paid by February 15: $110. After Feb. 15: $120 for one workshop. Space is limited. Early registration recommended. 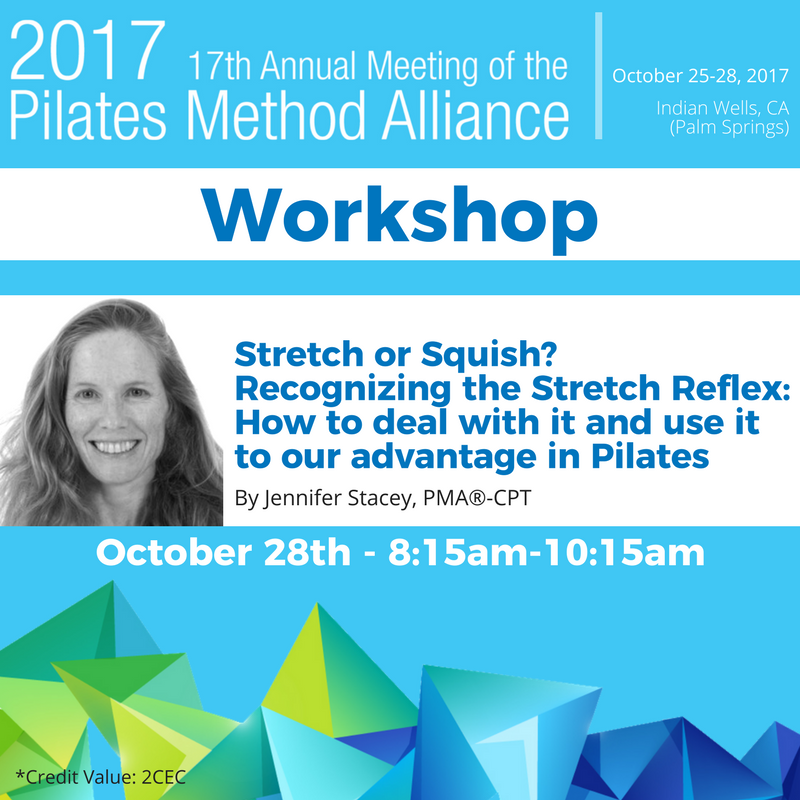 Jennifer will be teaching “Squish or Stretch: optimizing the stretch reflex in Pilates” at the Pilates Method Alliance conference in October, 2017 in Indian Wells, California. If you have studied with Jennifer Stacey around the world, and you would like to continue, or you would like to start studying with her, Jennifer is available for teaching private and semi-privates Skype sessions. We are excited to announce that in 2017 we will start posting videos of Jennifer teaching sessions and workshops. You will get to see her talented clients reveal the Pilates Method. Jennifer will be initiating an exciting research project with Jarmo Ahonen, PT in Helsinki investigating cueing and muscle recruitment with ultrasound. Stay tuned! Jennifer Stacey, MS was honored to teach an intriguing class “To stretch or not to stretch? Recognizing the Stretch reflex; how to approach it, and use it to our advantage in Dance and Pilates” at the 25th Annual meeting of the International Association of Dance Medicine and Science in Pittsburg, Pennsylvania, October 9-11, 2015. Jennifer Stacey, MS taught a workshop at the PMA conference in Denver, CO, Thursday, Nov. 5th @ 3:45 pm. Pilates from the Wings: The power of the Serape and scapular muscles through the alignment of the arm and hand. Ther e are two centers of the body: The cylinder of the trunk and the lower scapular area (“wings”). To recruit the main center (the cylinder) you have to recruit the wings. To recruit the wings you need to align the upper limb. The key to recruiting the trunk and wing centers is correct alignment of the fingers, hand, wrist, forearm, elbow and shoulder. 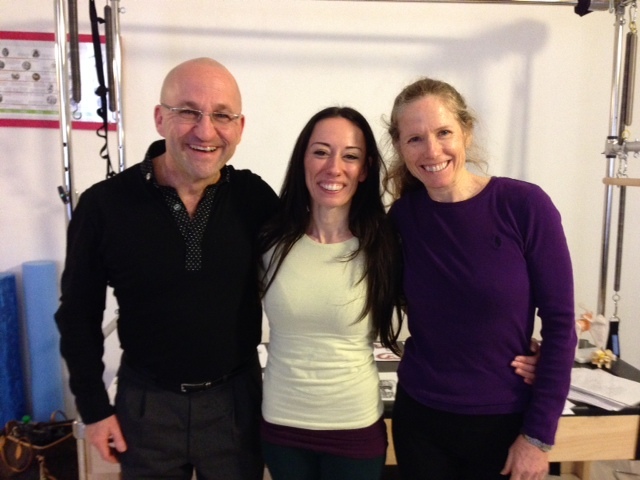 Jennifer enjoyed teaching in Helsinki at Somatic Studio, Kasarmikatu 36, 00130 Helsinki, Finland in April 16 – 19. She may also be teaching in Australia mid-year; and in Amsterdam, The Netherlands in the fall. The information will be posted soon. Thursday, April 16. 10:00 – 13:00. Principles for Injury Management. Discover solutions for preventing and overcoming movement problems through a Pilates, M. Feldenkrais, Physio-synthesis(tm), nutritional, and Chinese Medicine perspective. 14:00 – 16:00 Intriguing Mat Skills from Kathleen Stanford Grant’s (Pilates Elder),“Before the Hundred,” including her Cats and Laterals. Enjoy the fascinating, challenging and ingenious repertoire of Kathy Grant. 16:30 – 17:30. Magical Pilates Magic Circle Mat Class. Friday, April 17. 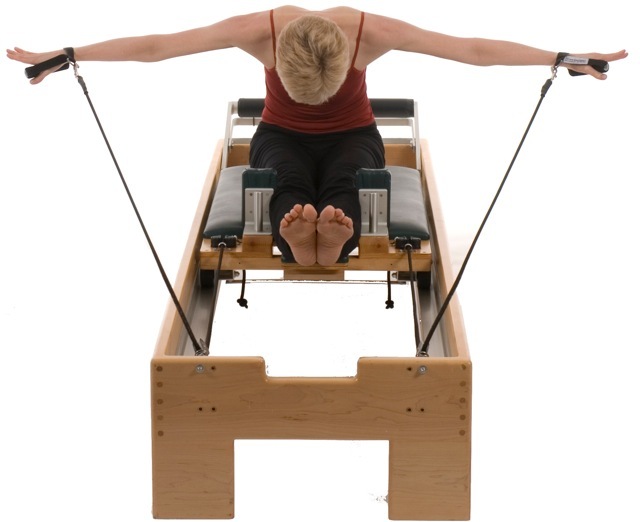 10:00 – 13:00 Classic Reformer Workshop inspired by the Pilates Elders. 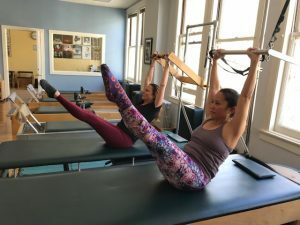 Learn the flow, breath, sequencing and transitions of an intermediate Classic Pilates Reformer class with proper biomechanics. Variations, modifications, cues and images from the Pilates Elders including Kathy Grant, Ron Fletcher, Romana Kryzanowska and Eve Gentry will be presented. 14:00 – 16:00 Classic Pilates Mat Class inspired by the Pilates Elders and Movement PerspectivesTM. Learn the flow, breath, sequencing and transitions of an advanced Classic Pilates Mat class with proper biomechanics. Variations, modifications, cues and images from the Pilates Elders including Kathy Grant, Ron Fletcher, Romana Kryzanowska and Eve Gentry. Saturday, April 18. 10:00 – 13:00 Spring into action Pilates Cadillac Workshop. The Cadillac repertoire is filled with wonderful skills that address a variety of conditions and ages, from helping the injured client to challenging and entertaining the super advanced acrobat. Align the head, spine, hips, and limbs; release the shoulders and neck; and work the deep center. 14:00 – 16:00 Roller Play(tm) and Pilates Toe and Foot Corrector Workshop. Have fun while challenging your center and massaging your body. Perform many skills using the foam roller, including the Pilates Spine Corrector repertoire. Align, strengthen, move your feet, ankles and toes using the Foot Corrector, Toe Corrector, small balls and bands. Sunday, April 19. 10:00 – 13:00 Classic Pilates Mat Workshop inspired by the Pilates Elders and Movement Perspectives(tm) with Romana Kryzanowska transitions. Learn the flow, breath, sequencing and transitions of an advanced Classic Pilates Mat class with proper biomechanics. Variations, modifications, cues and images from the Pilates Elders including Kathy Grant, Ron Fletcher, Romana Kryzanowska and Eve Gentry will be presented. Enjoy the wonders of Pilates! 14:00 – 17:00 Applying Pilates to Dance and Sport: “Perfect Practice makes Perfect!” Participants will perform Pilates, dance and sport skills with proper biomechanics. The concepts of Pilates and Biomechanics will be applied to various skills from dance and several sports. The Goal: obtain “Floppy Specificity” and a good relationship with gravity and the ground reaction force. Discover the two centers of the body (wings and trunk) through the Serapé wrap. Take advantage of fascial/muscle connections to optimize functional strength and power. Learn how nutrition, lifestyle and acupressure points influence performance. Alex Siragusa, Jennifer Stacey. Sit Twist. copyright 2007 Jennifer Stacey. Thursday October 10, 2013, 2:30 – 3:30 pm, 2013. Florida. Jennifer Stacey taught a Mat class at The PilatesMethod Alliance conference. Thursday, October 17, 2013. Seattle. Jennifer Stacey taught a movement session Addressing Hallux Valgus (Bunions) with Pilates and concepts from M. Feldenkrais at The International Association of Dance Medicine and Science. Jennifer Stacey, M.S. taught workshops at Laurence Thiébaut’s studio Inspire in St. Cloud Paris March 9-10. Jennifer will be giving classes, private and semi-private sessions March 8, 11. Schedule to be announced. Friday, March 8, 17:00 – 19:00 (and March 11 (tba)). Classic Pilates Mat class inspired by the Pilates’ Elders with the Romana Kryzanowska transitions for the advanced repertoire, 55 euros. Saturday, March 9. 13:00 – 17:00 Pilates from the Wings : Finding the Center and Wings through Alignment of the Arm, Elbow, Forearm, Wrist and Hand in Pilates and movement. Discover the power of the Scapular Muscles and Serape. Release the neck and shoulders. Saturday, March 9. 18:00 – 20:00 Intriguing Mat Skills from Kathleen Stanford Grant (Pilates Elder), including her Cats! Sunday, March 10. 10:00 – 1:00, 14:00 – 17:00 Nourishing the Spine with Pilates Follow your head: Understanding and cueing Head and Spinal Alignment in Pilates. During this workshop you will also learn elements from the following workshops: Release the Rib cage, and the Pelvis and ‘Scoop’ will follow. 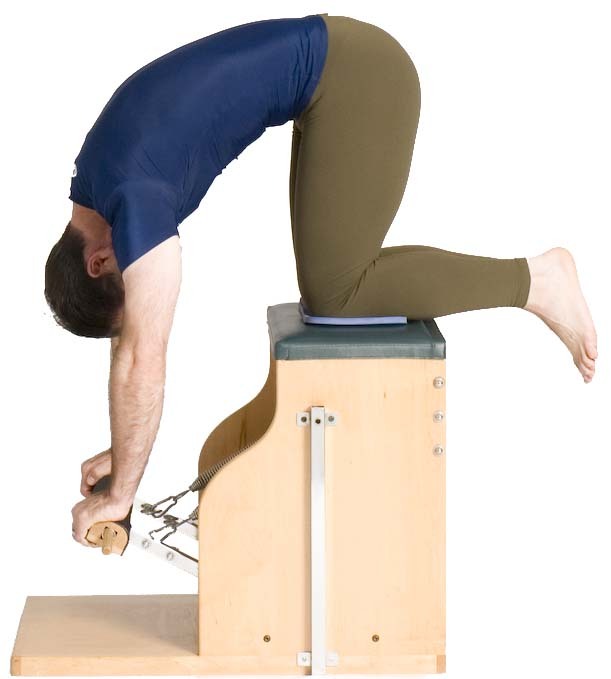 The key to success in Pilates.Honoring the Psoas in Pilates and movement. To register for workshops or sessions contact Laurence Thiébaut at Inspire: laurence@pilates-paris.fr. www.pilates-paris.fr. 4 Parc de la Bérengère, 92210 Saint Cloud. Tel: 06.45.09.27.89. 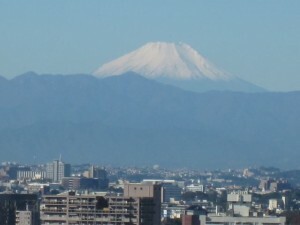 Thank you everyone who attend the workshops at IADMS in Singapore and The Pilates Lab in Tokyo 2012. It was a great pleasure teaching and you are all such talented teachers! 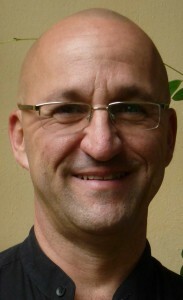 Dr. Gotz Lehle, MD from Italy will be teaching 2 insightful workshops: Friday April 13, 4 – 7 pm Cranio-mandibular problems. How to assess and address problems through movement. 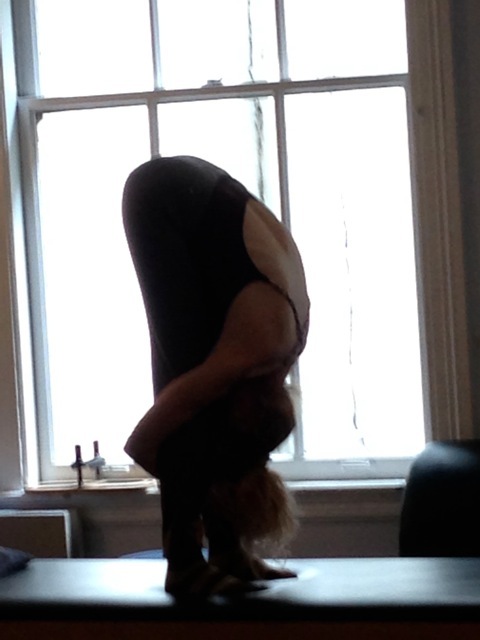 Saturday, April 14, 3 – 6 pm Proprioception – the Seventh Sense. Dr. Lehle is an Orthopedic Doctor, GYROTONIC® practitioner with a background in Osteopathy, Applied Kinesiology, Chirotherapy, M. Feldenkrais® and acting. A popular teacher and practitioner with an avid following, Dr. Lehle teaches and practices in Germany, Italy, France and New York. $105 for one workshop prior to March 30, $115 after March 30. $205 for both workshops prior to March 30, $220 after March 30. For information contact Jennifer Stacey, M.S. info@peakperformancepilates.com Detailed Flyer and registration: Dr Gotz Dr. Lehle is available for private consultations. April 10 -14, 2012. There is still space in the workshops, so please come and enjoy this special opportunity! Jennifer M. Stacey, M.S. will be offering Pilates movement classes in honor of her friends, mentors and teachers on specified Tuesdays and Wednesdays in San Francisco. Please contact Jennifer if you would like to participate in these classes. Experience in Pilates is optimal. There will also be forum like-interactive formats. Teachers and clients are invited to join in the classes. S.F. Peak Performance Pilates’ Health Forums: Peak Performance Pilates will be presenting a series of scintillating Pilates health forums in San Francisco, by Jennifer Stacey, M.S., and respected health professionals from various fields, including Dr. Richard Robertshaw, D.C., and Dr. Chady Wonson, D.C., LAc., C.N.C., C.T.N. 2011 Forum One: “The Placement of the Head and Neck in the Pilates’ Repertoire.” Enhance Pilates performance and discover solutions for movement problems and injury through a Chiropractic, Chinese Medicine, Naturopathic, Nutritional, Applied Kinesiology, Osteopathic, Motor Control, Pilates’ and M. Feldenkrais® based perspective. Jennifer Stacey, M.S. will be teaching clients, and presenting Pilates workshops in New York City. 1) The principles of Pilates. 2) Pilates is a comprehensive system with proper sequencing, levels, order, and transitions. 3) The 11 cues or images that empower the body to immediately perform movements correctly. 4) The 16 basic movements of Pilates that the system is based upon. 5) Demystifying Pilates: the physiology and science of Pilates. The physiological andbiomechanical explanation for why Pilates (when done properly) can be effective at re-patterning the body towards optimal biomechanical efficiency. Muscle physiology and how to apply the science to teaching while keeping the client in his/her kinesthetic body. 6) Using imagery to ensure results. 7) Application to a basic Pilates Mat Class and Foam Roller work. 8) Application of Movement Perspectives™ to Pilates Mat and Apparatus work and other movement systems including skills inspired by M. Feldenkrais and Physio-Synthesis. Dordogne, France. 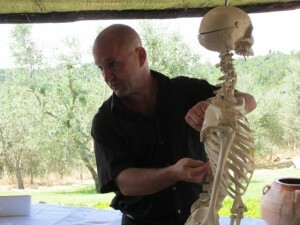 Jennifer Stacey is teaching at a beautiful farmhouse retreat in the Dordogne, France June 30 – July 7, 2012. Rejuvenate yourself! Pilates classes and workshops, meals and wine are included in the package. For information contact Jennifer. info@peakperformancepilates.com Perigord flyer go to our retreat section of our website. There will be a retreat offered 2013. Details to be announced. Jennifer Stacey, M.S. will be presenting workshops in Helsinki, Finland. Art Fysio Oy, Somatic Studio, Kasarmikatu 36, 00130 Helsinki, Finland. Dates to be announced. 5) Demystifying Pilates: the physiology and science of Pilates. The physiological and biomechanical explanation for why Pilates (when done properly) can be effective at re-patterning the body towards optimal biomechanical efficiency. 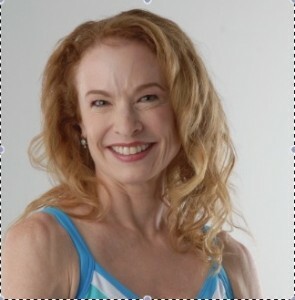 Jennifer is available for teaching Pilates’ Teacher’s courses, seminars, retreats and workshops in the USA and worldwide.